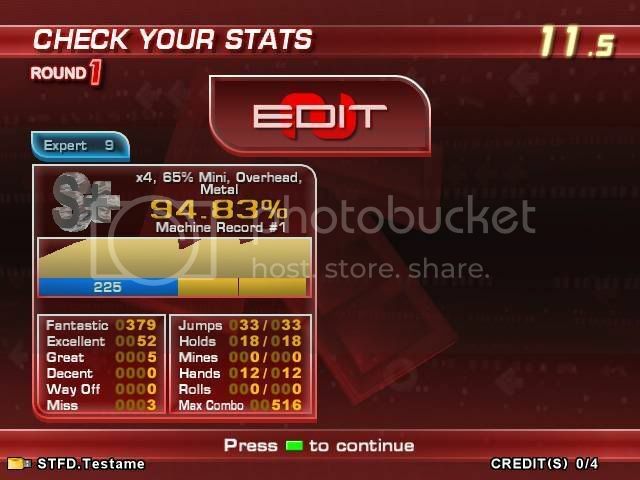 Additional Notes: This is a DDR edit that I made a long time ago. A lot of people seemed to like it, so I figured that I'll upload it here too. The hard chart is just an 8 that I decided to take a crack at. Nothing too special. BTW, my score was 99.5x, just replace x with some random number from 0 - 9, mmkay? That's what I'm doing since I was dumb and forgot to bring a pencil and paper.